Skylight Installation: brighten up your home and get that "outdoors" feel while indoors. Master Skylight Installations for VELUX brand skylights. 10 Year Leak-Free Warranty, On all New Installations. Curb & Deck Mounting Available to Fit Your Style. Save Money, Add Home Value Pair with a Roof Replacement. So glad we went with Infinite Roofing! We had gotten a few different estimates for our roof that was leaking, and I just didn't have a great feeling about going with these other companies. Within minutes of meeting John, we knew we could trust him. He is very professional, on time, and has fair pricing. I would highly recommend him. When we go to replace our roof I will definitely use him again..
Curb mounted skylights are placed over the roof opening, built using two-by-fours and stick out over the roof more vs. deck mounted options. Deck mounting is preferred by Infinite Roofing because the mounting is done within the roof decking itself: leading to a more streamline appearance. Velux is the go-to brand when it comes to skylights. Skylights have historically had issues with leaking because they open up the roof and break the seal of traditional asphalt roofs. Meaning that any imperfection in the skylight's construction makes a weak point in your roof prone to leaking after storms. 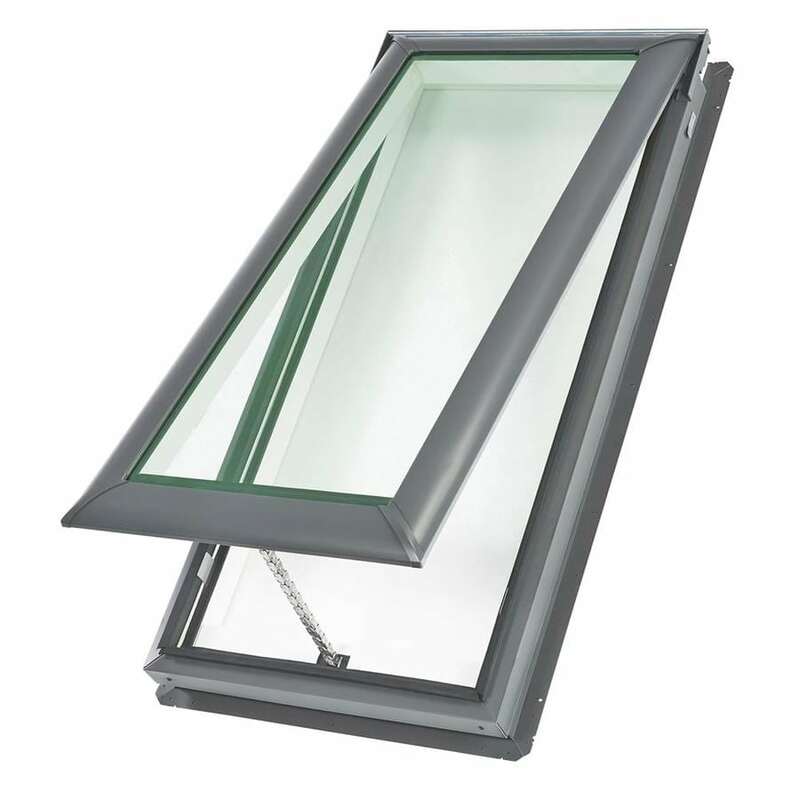 However, with velux the superior manufacturing of their product has enabled them to successfully eliminate this problem and create a worry-free skylight product that allows you to fully enjoy all the amazing benefits of natural lighting without needing to worry about it causing damage to your property. PLUS, with solar powered options, you don't have to worry about hiring an electrician to make the "vented" skylight open and close. That means that adding natural lighting to your home enables you to earn a 30% of the install and product cost federal tax credit on select Velux models. 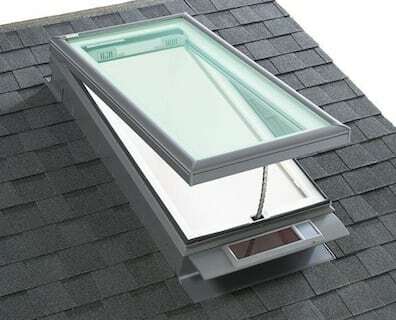 Fixed skylights do not open or close and do not need any additional remotes or opening bars in order to operate them. Ultraviolet screens and blinds are available to protect inside valuables from sun damage. Vented skylights open and close, either by remote control (with solar powered options to avoid electrical wiring requirements) or using extension handles (for when the ceiling is too high to reach manually). Vented skylights come with screens. Want to finance your new skylights? No problem. Working with our partners, OneMain Financial and Foundation Finance, we're able to offer amazing finance options that don't require you to use your home as equity. 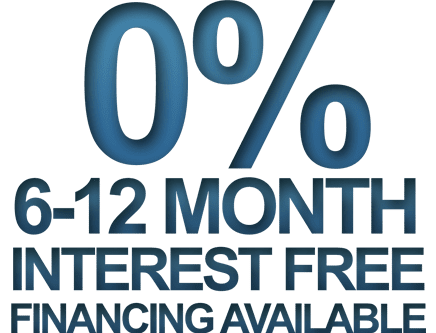 Whether you want to finance just the skylights or your whole roofing project is up to you - and 6-12 month 0% same as cash financing is available for both options! Get an estimate for your total roofing & skylight project so you have an accurate idea of how much to budget and plan for. Step 1: What happens on the Roof. 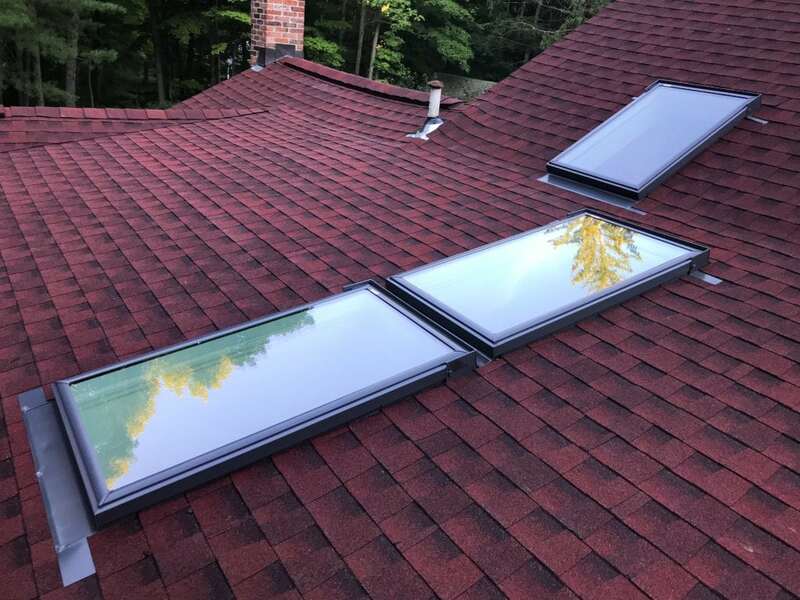 Whenever you're getting in new skylights, the installation will have to take place both on the exterior (roof area) and on the interior to make them fit properly and avoid any possibility of leaks. Each project will vary slightly depending on how steep your roof is, how long the shaft will have to be to allow light through and your home's unique shape. On average, it takes only about half a day to three days to complete your skylights, depending on how many you want and the above factors for your home. On the roof itself, a hole will be cut and the skylights will be fastened in with three different layers of protection to guarantee no leaks. On average, it takes half a day to finish the inside work for the installation to be completed - this will include drywall, touch up painting and matching to your interior. Flat ceiling specifics: Usually, more drywall will be necessary compared to a vaulted ceiling because Infinite Roofing's crew will end up building a shaft to go from your skylight on the exterior, to the room in a way that directs the daylight where you want it. Afterwards, fine detail painting will be done to match the ceiling's color. Infinite Roofing Clean Workspace Guarantee: Like we were never there. We want to make sure that dust and debris doesn't collect inside your home, so often you can expect that during the install process, we'll have placed plastic sheeting around where the ceiling holes are to be able to control, as much as possible, any work-related dust and protect your valuables. 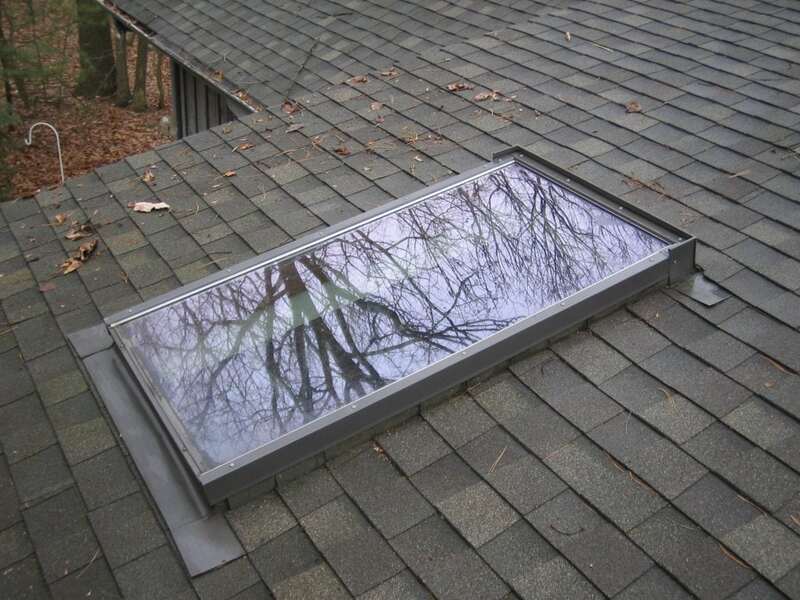 Expensive heating and lighting costs in the winter are reduced when a skylight is mounted on a roof that has southern exposure, while a skylight on a northern exposure wall helps reduce cooling costs in the summer time. Solar powered skylights come packed with a solar panel on the outside, allowing it to seamlessly recharge it's batteries using the sun! The battery is fully concealed, and you'll be able to avoid the need for manual hand cranks or costly electrical rewiring to make your skylights move. Most people are unaware that indoor air is up to 5x more polluted than the outdoors. Dust, mold, cooking and improper air filtration all contribute to a build up of indoor toxins and pollutants that can make the inside of your home air quality very poor. You could invest in an expensive HVAC system and air filters and deal with filter replacement costs and all of the maintenance associated with it...or you could open a window! Vented skylights offer the ability for you to refresh your indoor air quality, breath in the fresh outdoor air and enjoy a cool breeze without the hassle of expensive filter systems all while qualifying for a 30% federal tax credit! What can I expect during the estimate and consultation? Your Infinite Roofing pro estimator will arrive and inspect where you want your new skylights to be installed. We'll take a look at the rooms and the attic areas if your ceiling isn't vaulted. By looking at the way your ceiling is constructed we'll be able to tell you what size and type of skylight will best suite your needs as well as the most efficient type of install (curb or deck mounting). After going through the sizing and type consultation, we'll talk blinds and add ons that will be beneficial to your system. What if my ceiling is flat? Flat ceilings are exactly as the name implies: flat. This usually means that there is an attic space between your indoor ceiling and your roof. With a flat ceiling, we'll use drywall to make a shaft that directs light from the roof skylight down to the room below and the shafts will be painted afterwards to match your interior paint and surrounding ceiling area. As mentioned above in greater detail, there are two primary phases to skylight installation: work that's done on the exterior (usually the roof) and work that's done on the interior (inside your home). The portion of the installation that takes place on the roof usually includes cutting a hole and placing the skylight inside the roof and sealing it to prevent any leakage with three different layers of protection. This process normally takes about half a day. On the interior, we'll go through a few different phases depending on whether or not your ceiling is flat (requiring a light well) or vaulted (not requiring a light shaft). Again, holes will be cut to match the skylight dimensions and painting will be done to match your interior. Depending on your roof pitch, the interior light well's depth and shape and the weather, you can expect this to be completed within a half day to three days.